B2B companies are supportive enterprises that offer the things other businesses need to operate and grow. These include businesses like payroll processors or industrial suppliers. This is in contrast to business-to-consumer (B2C) models, which sell directly to individual customers, and consumer-to-business (C2B) models, in which an end user creates a product or service for a business. Instead, B2B companies offer the raw materials, finished parts, services or consultation that other businesses need to operate, grow and profit. Below you will get the best B2B sales books to learn more about effective B2B sales secrets and strategies. 1. 7 STEPS to SALES SCRIPTS for B2B APPOINTMENT SETTING. 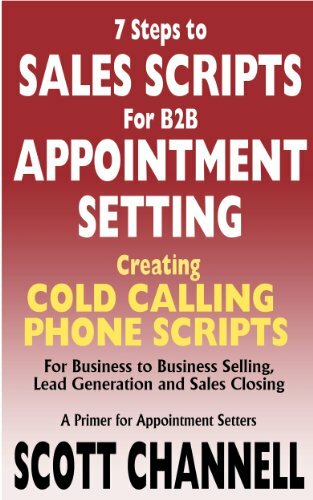 Creating Cold Calling Phone Scripts for Business to Business Selling, Lead Generation and Sales Closing. A Primer for Appointment Setters. This book is Scott Channell's true masterpiece about Business To Business Sales secrets and strategies. What are the things or qualities you are lacking that people don't agree to meet you, don't pick your phone calls? Well all these questions are fairly answered in this book. Struggling in appointment setting can cause your close deals, lose out on income, commissions and market shares. This book focuses on the sales script creation process for business-to-business sales. It includes many sample scripts and script segments for credibility, benefits and what you deliver that you can incorporate into your own sales scripts. A good phone script is going to communicate your value and credibility. The author breaks down sales script creation process so that you can make a good phone script. There are a lot more to learn from this book. This book is recommended to every business owner, every sales person, and every sales manager. Try the methods he has in this book and it will transform your sales results. Where to focus? Buyers or sellers? The Seller’s Challenge: How Top Performers Master Deal-Killing Obstacles in B2B Sales identifies 10 of the most frequently encountered deal-killing obstacles sellers encounter these days. Thomas Williams and Thomas Saine have properly identified and simplified the problems and also give a proper solution for each. 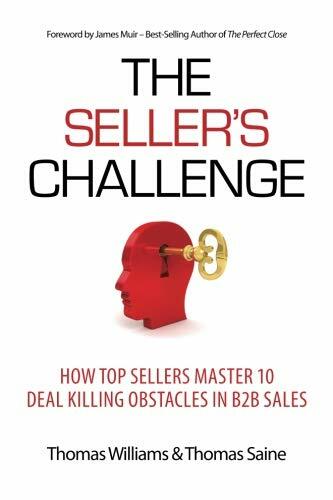 This book has a B2B focus and the whole book is broken into 10 separate chapters – each one covering one of the top ten deal-killing challenges in sales. Each chapter is independent of the others and capable of standing on its own making Seller’s Challenge an encyclopedia of sorts allowing you to open specifically to a given topic and get a complete rundown on the best practice in sales for addressing that challenge. It has all the things one may require to unlock new skills and engage more customers in sales. This book is a great guideline for anyone who wants to grow their business and pull maximum revenue from their business pipeline. To drive your company by B2B sales you will have to learn the secrets behind it. You will need to be a professional prospector. This book will help you to be an expert prospector to successfully target, qualify, make and break business opportunities and deals. It has some solid strategies which will build a sustainable pipeline whether you’re a sales or marketing executive, team leader, or sales representative. 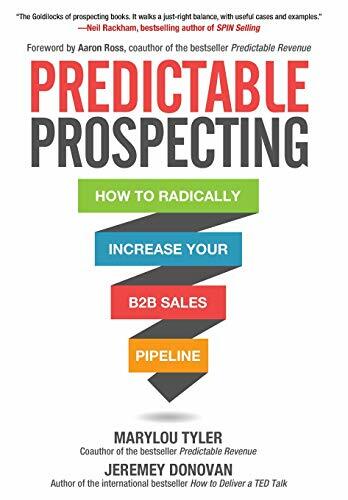 You’ll learn how to target and track ideal prospects, optimize contact acquisition, continually improve performance, and achieve your revenue goals quickly, efficiently, and predictably by this book. 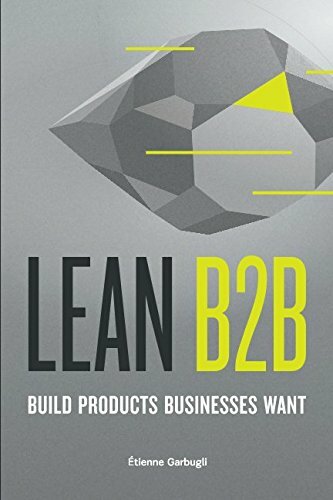 Lean B2B is an effective and practical guide for entrepreneurs and innovators to find traction in the market quickly. This book focuses on the real life examples to make you familiar with the proper Business to Business development process. The author gives very detailed information about every step of the process of designing a great product, from deciding which field to work in to validating the product-market fit. The book provides interview guides, success criteria for every step and in general very concrete and actionable information. It is packed with more than 20 case studies about B2B development. Grab this amazing book now. This is a book that every sales professionals should read. 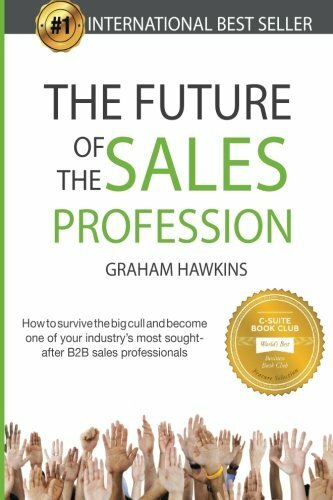 The Future Of The Sales Profession is based on the research of Mr. Graham Hawkins on the sales market and it's future. B2B sales are getting harder day by day as the product life cycles are getting shorter and the sales cycles are getting longer. There are more competitors. If you wish to survive in this market you must need to learn some strategies. In this book sales he shares the cold, hard truths about the new realities facing the sales profession, and how you can protect and enhance your career. He has introduced many strategies and discussed many raising questions about the B2B development sector in this book. Chock full of wisdom, actionable insights and nuggets of sales gold, this book is a must read for anyone who wants to not just get by, but get ahead in their sales career. 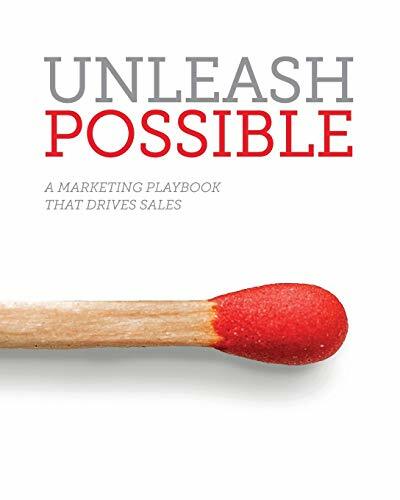 Unleash Possible is a great book about marketing and sales with a lot of useful information presented in an engaging style. The author Samantha Stone shared her hands-on experiences which is an excellent way to overcome the challenges between sales and marketing in organizations of any size. She has also given tons of practical tools and real world examples. This book discusses the ways to become a trusted partner for sales teams to turn to for guidance, change the way marketing is done to better serve buyers and drive more revenue, growth and profitability. Filled with straightforward information, frameworks and explanation for successful marketing in the real world, this book is a must read for the sales persons. 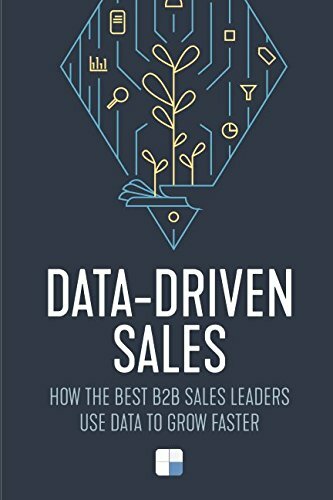 In Data-Driven Sales you will get insight on how to use data and increase your sales. Now a days market analysis perform a very crucial part on B2B sales and development. Businesses are relying on data to power their decisions, be more efficient, and grow faster. Without analyzing marketing data a sales person cannot improve his career or business. This book helps you to analyze the market and take proper decisions. 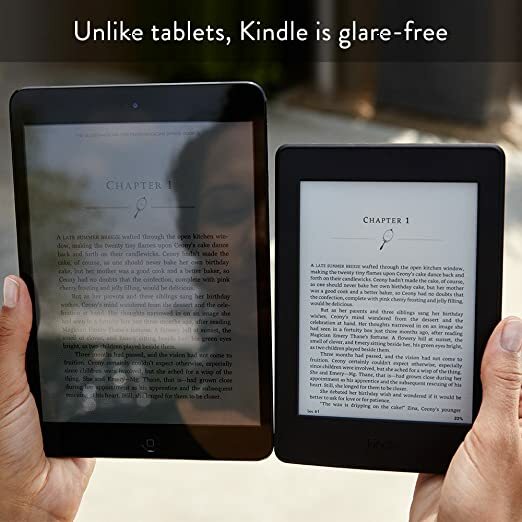 Each chapter features examples and strategies from a variety of companies like different sizes, products, etc. This book shows you that these strategies are effective across the board. Grab this amazing book now. 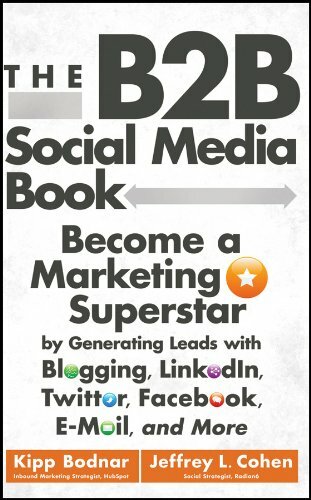 The B2B Social Media Book shares how you can use social media as a medium of your increased sales and marketing strategy. The book is divided into three main sections: The Fundamentals of Social Media Lead Generation, Social Media Lead Generation in Action, and Taking Social Media Lead Generation to the next level. As those headings suggest, this isn't a book about "engagement," conversations, shares, likes, followers or any other soft measures of social media success, but rather is focused on using social media to generate a high volume of qualified leads, the top priority of B2B marketers. After laying the foundation, the book steps through best practices for developing eBooks and webinars, business blogging, marketing through LinkedIn, Twitter and Facebook, making email social, B2B social mobile marketing and integrating with other social efforts. Along the way, the authors share numerous bits of marketing wisdom and findings.